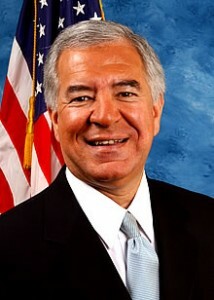 Former Congressman Nick Rahall represented West Virginia’s Third Congressional District. He served as the Ranking Member on the House Transportation and Infrastructure Committee, and also served as Chairman of the House Natural Resources Committee from 2007 to 2011. First elected in 1976, he served nineteen terms in the U.S. House of Representatives and is recognized as the youngest-elected, longest-serving Member in the history of the House. As the longest serving Member of the House Transportation and Infrastructure Committee, he was a leader in every Federal Highway debate since coming to Congress. He worked to build and repair the nation’s highways and bridges, improve and modernize airports, and provide critical water, sewer systems and flood control projects throughout West Virginia and the Nation. A quarter of the bills he sponsored while in Congress related to public lands and natural resources. As Chairman of the Natural Resources he worked to honor the Committee’s charge of serving the natural environment, wild lands, scenic vistas, fish and wildlife, Native Americans, and the public interest.